Camino minus 1. The day before a trek is all about reading the auguries. Maybe not slaughtering chickens to read entrails, but instead catching the tone or mood of the world that sets the stage for commencement. Feeling good so far about this one. 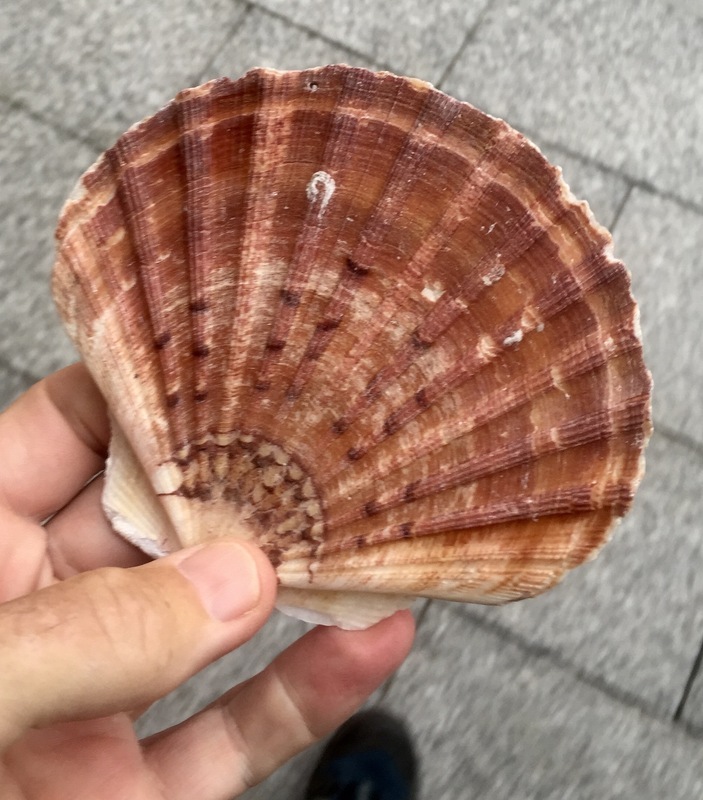 Slept in and packed slowly, then headed out first to les halles at Biarritz because pilgrims need a scallop shell on the Camino. It is the emblem of the trek. At the fish market I found a stall surrounded by scallop shells holding back the ice in the display. I went into my ignorant American pantomime to ask to buy one. The proprietor smiled handing one over and declining recompense. I knew then and there this would be a good trek. Swung by the coffee shop for a large latte, the patisserie for some croissants and caught the bus to Bayonne. The trains were not running because of track repairs, so the SCNF had a bus to St. Jean-Pied-de-Port which, I soon discovered, was full of pilgrims (more than 40). I could hear a few American voices, but most were Scandinavian, French, or German. It is only the beginning of the season, but it appears the way will be crowded. On arrival at the town, I went to the check-in station, only to discover it was closed for lunch. I found a small store for a beer and was soon joined by Jen, a man from Denmark with a good appetite for beer and a good attitude about the trek. We had lunch together, checked into the hostel (good place with a great owner) and gathered our Camino passport, etc. Unfortunately the high route is snowed in so tomorrow I must follow the route along the road. Something of a disappointment but not unexpected. Jen and I sat by the river over red wine and were soon joined by Kai, a Norwegian also sharing our room. There is a real enthusiasm amongst the pilgrims which, even though the trail will be crowded, makes me optimistic about the upcoming walk.